The Ratchet Gadget Bar Tool | BUDK.com - Knives & Swords At The Lowest Prices! 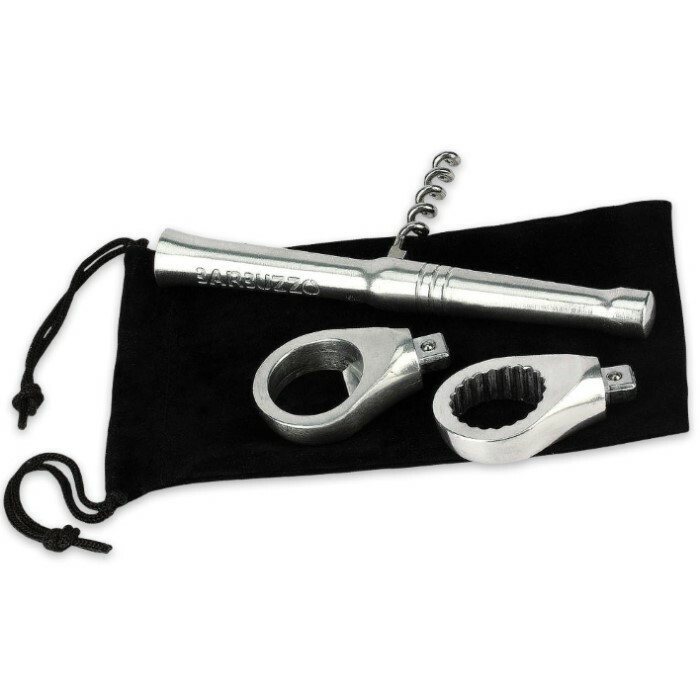 Dimensions: 7 7/8"x 2 3/8"x 1 1/2"
You never know when you'll need a ratchet set in case of an emergency. 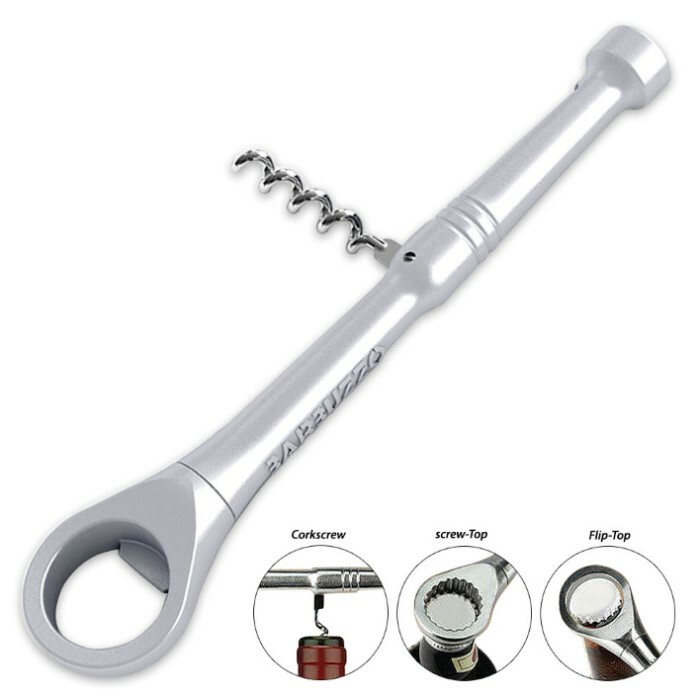 And for emergency, we're talking opening beer or wine in a hurry. Furniture assembly, automotive or appliance repairs, computer parts - all that stuff can wait! 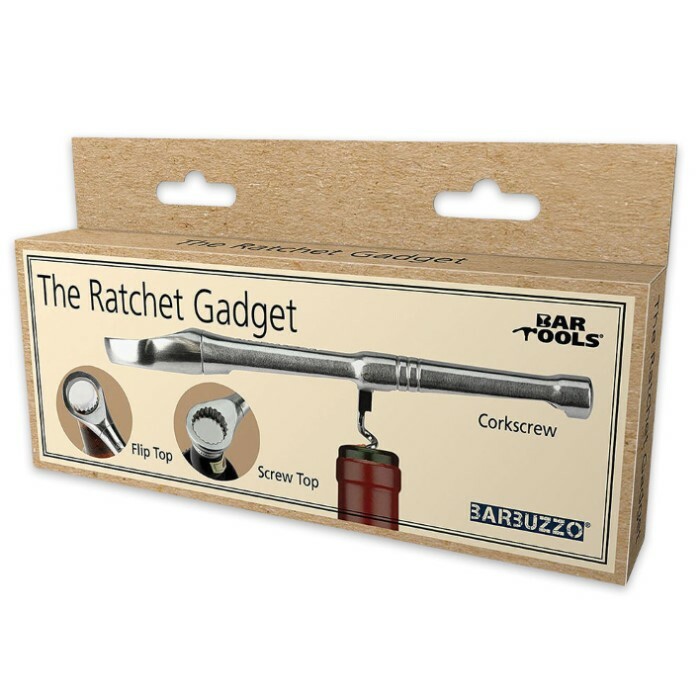 With this Ratchet Gadget Bar Tool set, you'll be the most efficient and professional host anywhere. Let the party begin!